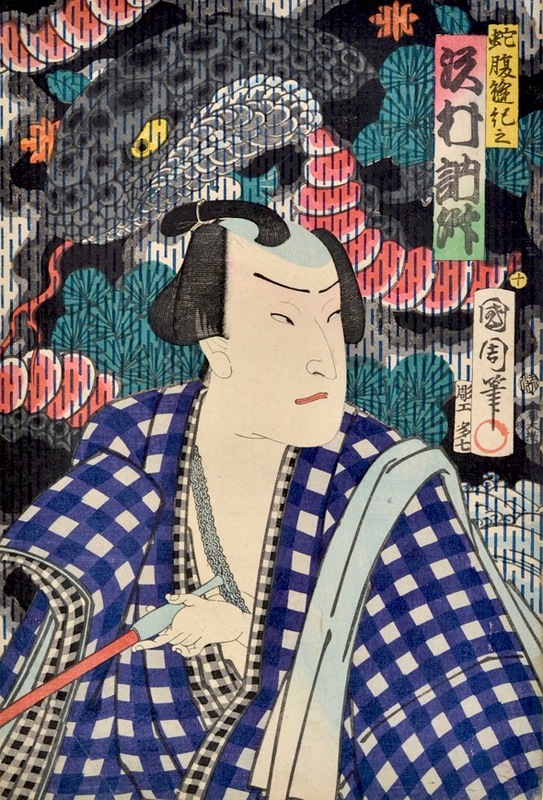 Toyohara Kunichika (1835-1900) Sawamura Tossho as Jabara, 1869. Oban. The Sawamura were a well known dynasty of kabuki actors. It is the background that is most striking about this and other prints in this short series. 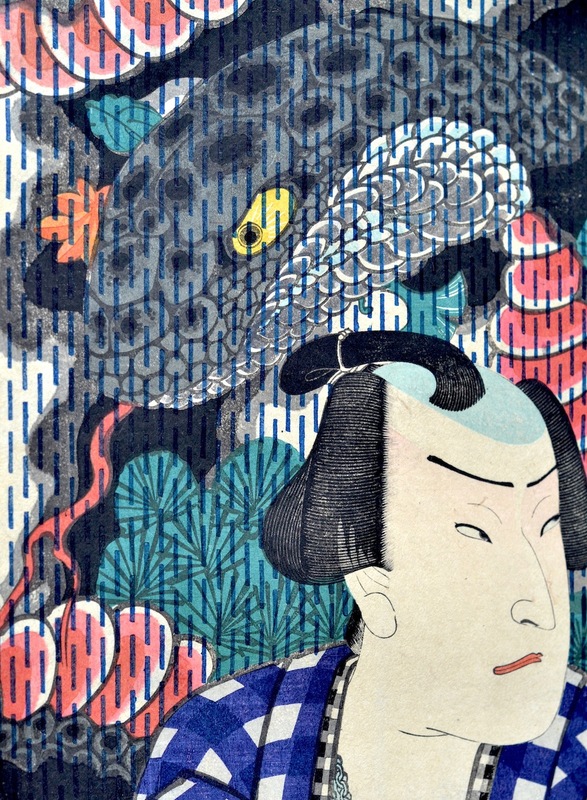 A snake in pine tree foliage rears up behind the actor who is holding one end of a long Japanese pipe. The image is flattened by the background screen of vertical black lines, these lines representing the heavily quilted and embroidered robe of an Edo fireman. Signed Kunichika hitsu with Toshidama seal beneath. An astonishingly strong design in a fine edition and impression of this series. The colour is strong and condition overall very good. A crease to the lower left corner.